They are highly active so they are generally not suited to apartment living or small backyards. 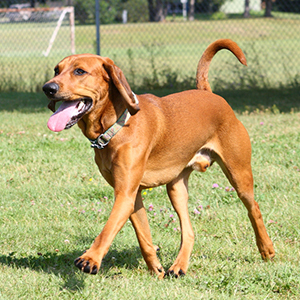 Admittedly, the ‘American English Coonhound’ is something of an odd name. 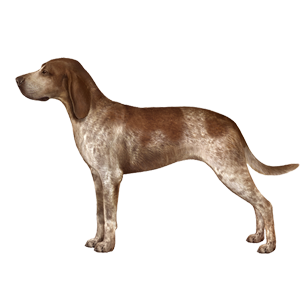 It came about because these dogs were originally bred from the English Foxhound and for a while they were simply known as the ‘English Fox and Coonhound’. Their job, as you might have guessed from that particular name, was to hunt both foxes and raccoons. 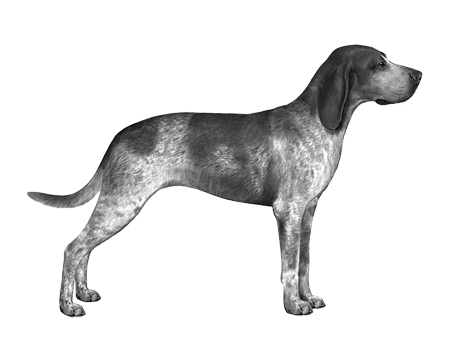 The breed was split off in the early 20th century, with some coonhounds specializing only in raccoons. Back then, they would chase the animals up tree trunks to help their owners spot them in the branches. 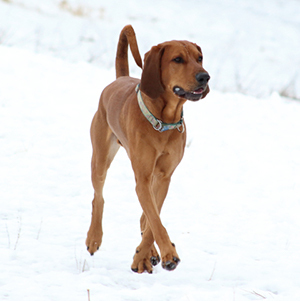 It’s thanks to this practice that we have the expression ‘barking up the wrong tree.’ And thanks to a good-natured and friendly personality that the American English Coonhound makes such a wonderful pet.